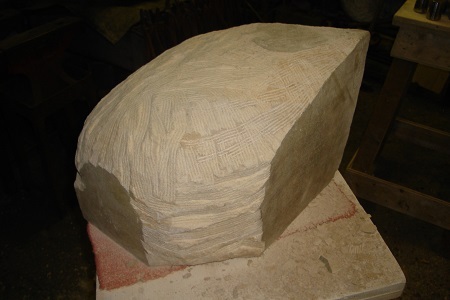 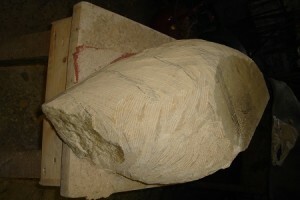 Stone carving is one of my least explored hobbies: I have made a few pieces on courses. 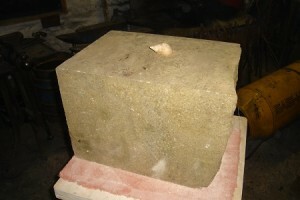 The pictures below show the stages from stone block to finished item. It is a very satisfying skill to acquire, if dusty, a little noisy, and wearing on the wrists. 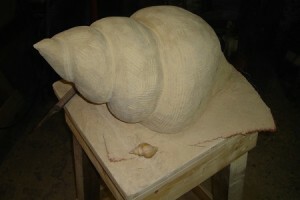 This project was to replicate a shell in stone. You can see the original sitting on top of the block, which gives you an idea of scale. 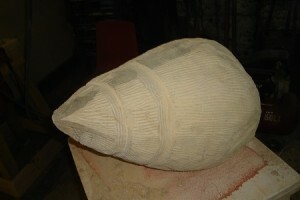 The final sculpture was about 40cm long.